Many people, when they talk of the new covenant, are ready to throw out the law of God without realizing that the law is only the subject matter of the covenant not the covenant itself. An illustration of this would be when a land owner decides to build a house. He decides what kind of house he wants and contacts a building contractor to build the house for him. The subject of the contract that results is the building of a house. The agreement is, on the owner's side, to pay for the cost of the house and, on the builder's side, to provide the construction according to the owners' wishes. The covenant is the agreement about the house. The house is not the covenant. The new covenant is a new agreement based on better promises. While the moral law - the subject of the covenant - is the same, there is a difference between the old and new covenants (the agreement) as the Bible describes them. We will go through each of the elements of the new covenant identified above to see if we can find what is different. 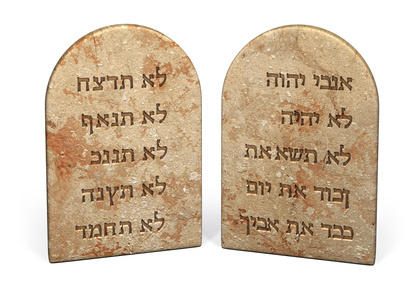 While the Ten Commandments were written in stone they were also meant to be "in thy heart" even within God's covenant at Sinai so that they would be obeyed. This is not the point of difference between the old and the new covenants. This, of course, relates to the theme of the character of God. The subject matter of the Old Covenant and the New Covenant is basically the same. What is different is that under the New Covenant God proposes that his people shall know Him, shall understand and appreciate His character to the extent that they fall in love with Him to the point where they will be fully motivated to render complete, willing obedience. This will be the means of being able to keep the law of God. It has always been the purpose of God's covenant that there be a relationship based on knowledge of Him and His character. Unfortunately, His true character has been obscured ultimately due to the efforts of His archrival, Satan. Herein - having a true knowledge of God - is the difference relative to the Old Covenant. It requires a greater understanding about the true character of God that careful Bible students are, in recent years, beginning to understand. See the covenants of God illustrated.